Veteran Nigerian actress, Joke Jacobs, has revealed that she was adopted by the late E.A Silva, a lawyer, and his late wife, Abimbola Silva. Mrs. Silva, who was the third Nigerian woman to qualify as a medical doctor, died in July 2015. The 56-year-old actress disclosed this at the first Annual Conference of Heritage Adoption Support and Advocacy Group, which held at Federal Palace Hotel, Victoria Island, Lagos. 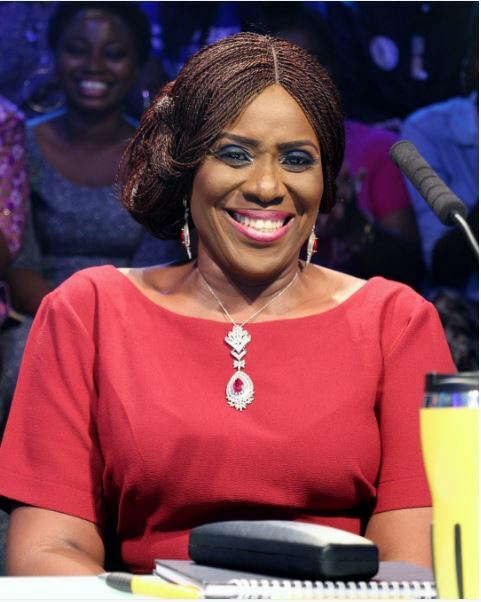 A closely guarded family secret, this is the first time that the actress would be revealing that she was adopted over five decades ago from a foster home, run by the Red Cross in Lagos. Speaking at the occasion, which had the wife of the Vice President, Dolapo Osinbajo in attendance, Mrs. Jacob gave an account of her experience as an adopted child. She said, “Living in a foster home of the Red Cross in Yaba, Lagos, Everybody would be calling me whenever my adopted mum (Dr. Silva)came with cakes and a lot of things during her visit. I went to YWCA Nursery, which was not too far from the Silva’s home in Yaba. I also have memories of moving in with them when they moved to Glover Road in Ikoyi. “I remember reading newspapers to my Dad in our sitting room and pronouncing Brig-General Aguyi Ironsi, the then Nigeria Head Of State, ‘Agolo Iresi!’ My father could not stop laughing at my hilarious interpretation of the newspaper. Also, I remember making them proud, when performing at St. Saviour School. My parents would be standing and were congratulated by other parents too for my acting skills. My parents were so excited that this child was incredibly talented. “I remembered going out with my cousin and we met a big cousin. She introduced me as ‘my cousin’s daughter and this is Dr Silva’s daughter.’ Then, the older cousin was like, ‘Dr. Silva ke? Se Doctor Silva bimo ni? (Meaning does Dr. Silva have a child?) . Did Dr Silva ever have a child? The actress also revealed that she was protected in the Silva’s family will. “Even in their wills, I was well protected. My daddy, being a lawyer said in his will, that all his children, both adopted and biological should be treated equally. I was not stressed in anyway. We were all well taken care of till my mum died at the age of 89. “At 56, I still miss her but I know she has definitely gone back to her father. On her sick bed, I always sang her favorite tunes, she would be imputing the melodious tunes and she died singing to her Lord. She had prepared her family before my coming into her life because I had an incredible big Silva family. In his remarks, the HASSAG founder, Ituah Ighodalo, said his foundation aims at changing the negative perception of adoption in the society and render support to prospective adopters, adoptive parents and adoptees. According to him, adoption is the solution to the growing problem of abandoned and vulnerable children in the society. The process will help make thousands of homeless children to be settled in loving homes.